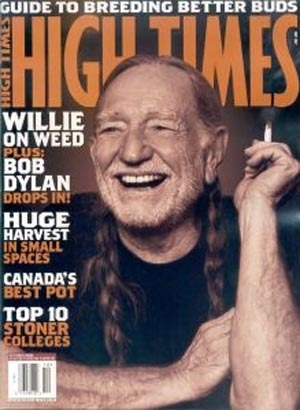 04.30: On this day in 1933 William Hugh “Willie” Nelson was born. 80 years old! Holy cow, what a guy. We could go on and on and on about Willie, but we shan't. Instead, we'll just say that Willie is one of the most down-to-earth, vibrant, original and amazing guys ever to command a stage. And he smoked a joint on the roof of the White House. Nuff said. If you can name the president who invited him there, without looking it up, you are a true fan. Happy birthday, Willie! We love you, man! 05.01: On this day in 1967 Elvis Presley married Priscilla Beaulieu in Las Vegas. And they lived happily ever after. 05.03: On this day in 1969 Jimi Hendrix was arrested on drug charges at Toronto International Airport after officials found heroin and hashish in his luggage. Hendrix was released on $10,000 bail and acquitted of the charges at a jury trial in December. His argument that convinced the jury? The drugs were slipped into his bags by a fan. Right, Jimi. A "fan." Wink, wink, nudge, nudge. NELSON AND HARD ROCK PARTNER TO BENEFIT TWO HAND SELECTED CHARITIES: THE SUSTAINABLE BIODIESEL ALLIANCE AND THE ANIMAL WELFARE INSTITUTE, THROUGH AN ARTIST SPOTLIGHT SERIES. TO LAUNCH ON JUNE 6, 2013 WITH A PERFORMANCE BY WILLIE NELSON AND FAMILY BAND AT HARD ROCK CAFE NEW YORK. Limited-Edition Bandanna, T-Shirt and 2 Unique Pins available June 6, 2013 Online and at Hardrock.com and at Participating Locations, for more info please click here. Orlando, Fla. – Hard Rock International – owner of one of the world’s most recognized and iconic brands – announces today it has entered into a long-term agreement with New Meadowlands Racetrack LLC. As part of this agreement, Hard Rock will make an equity investment in New Meadowlands Racetrack LLC, which extends to any projected future developments at the racetrack. West Springfield, Mass. – Hard Rock International – one of the world’s most-recognizable and iconic brands – is excited to announce Tim Maland, a seasoned executive in the resort and casino industry, as president of Hard Rock Hotel & Casino New England. In his new role, Maland will lead the pre-development efforts for the proposed resort casino, located on the Eastern States Exposition campus and if Hard Rock is successful in its bid, the operations of this new location. Maland will officially assume his role as president on Monday, April 22 and will be present at the West Springfield community meeting on Wednesday, April 24. 04.24: On this day in 1992 David Bowie married fashion model Iman in Switzerland. And they are still married! This shatters our theory about the unspoken rocker/supermodel marriage rule of "use 'em and lose 'em" (see Billy Joel/Christie Brinkley, Axl Rose/Erin Everly, Rod Stewart/Rachel Hunter, et al). But, in this instance, at least, it's okay because this coupleis probably one of the most stunning creatures ever to wander Earth. They'll probably rule us all one day soon, and we're okay with that. We'll forgive them their transgressions against the unspoken rule. 04.26: On this day in 1982 Rod Stewart was mugged and robbed at gun point in broad daylight on Sunset Boulevard in Los Angeles. The object of the gunman’s affection? Stewart’s $50,000 Porsche. The word is a fine place and worth fighting for, sometimes the most simplest of gestures can make a big difference. Happy Earth Day 2013 - SAVE THE PLANET. 04.17: On this day in 1964, Maynard James Keenan was born. If you're not a fan, then you probably can't place the name, but Maynard is the lead singer for two of the most popular rock bands of the past 20 years, from the tribal art metal of Tool to the tight rock production of A Perfect Circle. With Tool, Maynard melded arty prog rock with a vibrant and intense metal soul. We first took notice when MTV started playing the disturbingly awesome video (remember when they played videos?) for Tool's masterpiece "Sober," a stop-motion animated romp through a landscape of tortured souls and nightmares. With A Perfect Circle, Maynard found a group with whom he could loosen up a little bit, with a little bit being the operative words. While A Perfect Circle isn't exactly light listening, it's darkness doesn't run quite as dark as Tool, and the melodies are a bit more prevalent, a little more at the front. Just compare Tool's "Sober" with A Perfect Circle's "Judith" and you get a hint of what we're babbling about. We love Maynard because he's been known to show up on stage in his birthday suit, singing his little heart out, and he also owns a winery in Arizona. The guy's just awesome. Happy birthday, Maynard! 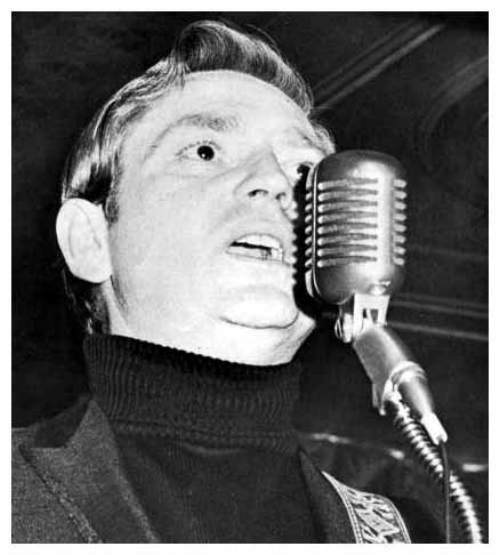 04.17: On this day in 1970, Johnny Cash performed at the White House at the request of President Nixon. Apparently, having just given a name to the "War On Drugs," Nixon wasn't aware of Cash's heavy drug use or the deep contrasts between Cash's left-leaning politics and Nixon's right wing stances. Nixon requested that Cash play Merle Haggard's "Okie From Muskogee" (a satire, though Nixon didn't know this, of small town mores and one of the most misunderstood songs out there) and "Welfare Cadillac" (a deeply derisive song about welfare recipients), but Cash declined, citing his unfamiliarity with the songs. Instead, Cash sang a couple of his own tunes and a cover song about a mistreated Native-American WWII veteran. We bet Nixon loved that one.